So you have invested your precious time and money in developing a website and all set to make it live over the internet? Well, make sure you spare a couple of minutes for this post before you make your website available for the users! You probably won’t expect your website to crash on the launching date when the traffic increases rapidly. Would you? It would be great if you avoid such scenarios by performing cross-browser testing and escaping from one of the biggest nightmares for the web developers out there! As a developer, you shouldn’t forget cross-browser testing of your website so as to avoid any flaws in the overall design and functionality. The loopholes and bugs must be resolved in the early phase of testing so that you can leave a great impression on your audience on the day of launch. An adequate testing strategy could lend a hand in escaping from the critical issues and the minor ones that can disturb the smooth functioning of your website. Let us start preparing a fruitful checklist that would be quite beneficial for you while you are about to step into the digital world for creating an online presence. 1. Ensure you have adequate information about the browsers and the devices on which you would be performing the testing. It is mandatory for you to make a list of browsers and the devices that support the same. 2. Local testing of the website is recommended before you make your website live. This would ensure that the severe issues are rectified in the early phase. 3. If you have mobile devices to test, it is great! Just in case you don’t, make sure you install emulators and simulators on your machines. Another great way is to download any of the third-party testing tools that are widely available in the market. Once you are set with all the above-mentioned aspects, it is the time to move on to creating a checklist that would help in improving the overall user experience of a website. Everyone adores beautiful and engaging fonts, which leaves a good impression on the user’s mind. But what if your fonts aren’t consistent when it comes to different browsers? Sounds irritating, right? You have to analyze that the fonts are displayed adequately on every browser and on each device. There is no point you can ignore the fonts, which clearly depict the website’s reliability as the content of your website plays a crucial role in uplifting the overall search engine optimization. If the font of the content displayed on the website isn’t appealing enough to engage users, you have to deal with a high bounce rate (the rate at which users leave your website when they don’t find relevant content). As per the experts of the industry, one should go through the essentials of fonts before they choose the font style of their website that has a lot to do with the SEO of your website. So, it is necessary for you to emphasize the same for the growth of your website. If you wish to include media on your website, it is important for you to ensure adequate compatibility on diverse web browsers before you just randomly include the embedded video link. Most of the browsers support videos while there are some browsers that don’t! It would be a very wise decision to check the compatibility of the media elements in advance so that you need not to face glitches with the website once it is available for the audience. 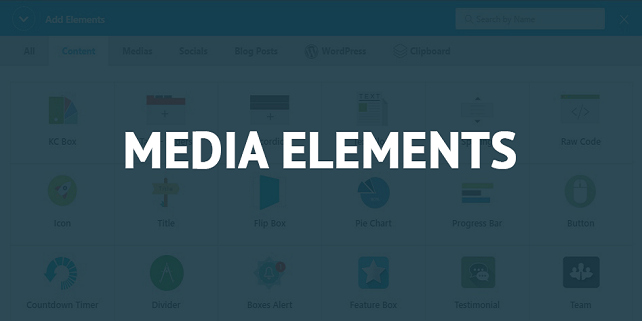 Sometimes some elements aren’t supported in particular web browsers, which is a serious concern if your entire website is full of media. Make sure you check the format of the media before you include the same in your website. One can go through the browsers tools compatibility list where they can find the right format that is supported on the web browsers. A little research could eventually do wonders for your website if you wish to engage the audience by providing rich user experience and placing media elements at the right place. Most of the times the developers aren’t aware regarding the connectivity of the API’s with the browser to support acknowledges from the API’s. These requests are rejected in most of the web browsers if the connectivity of an API isn’t done on the web browser. This is again a crucial aspect that shouldn’t be avoided while you are about to launch your website. There is no point you can ignore the same on mobile devices. 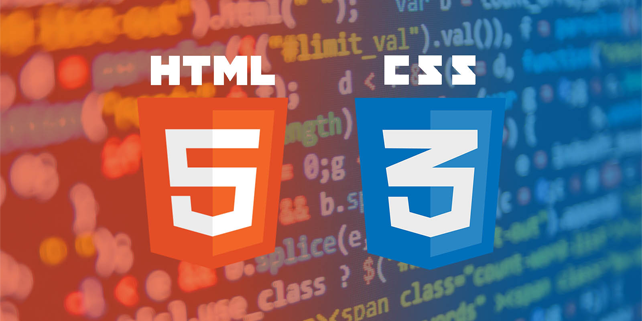 First of all, you need to install different browsers on every device and check the compatibility and then integrate the API with the web browser so as to ensure adequate functionality of the website. One just can’t manage to even think about the launch of their platform that is entirely dependent on API’s that won’t work without a proper connection. An error message would be displayed if the API’s aren’t compatible with the browser, which can be quite depressing especially if you haven’t considered these aspects in advance. What if you leave the tags open in your website and the users are enjoying the code on the screen? Not at all a good indication of reliable code! You can’t afford to leave a loophole in the code when you are expecting out of the box response from the audience out there. No one would ever wish to deliver such a horrible experience to their audience if they are about to step into the digital world with a mission to engage users towards your products or services. Proper validated and clean code is the base of any website whether it offers static or dynamic functionality to the users. One can consider relying on third-party websites that offer you a quick check for the validation of the code. One of the crucial things that should be checked on a priority basis is the alignment of the elements on every device and browser. There could be nothing as terrifying as a website with unaligned elements that make it a complete mess for the users to navigate. The correct positioning of the elements can be expected on one browser and at the same time can’t be assured on the other browser. Thus; you have to be very sure that you check your website adequately when it comes to the overall alignment and the layout of the website. 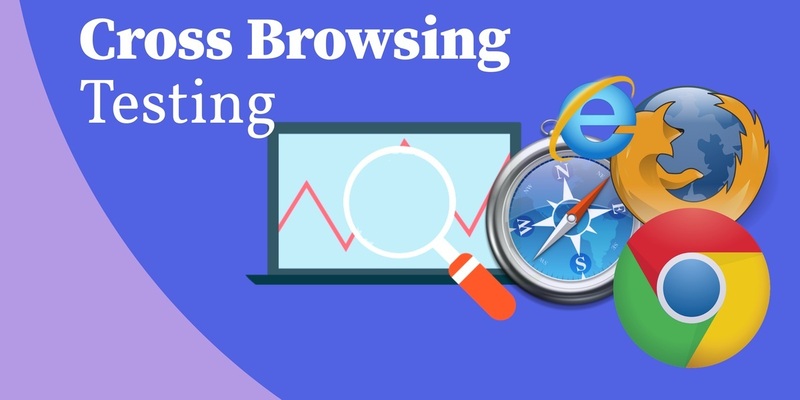 One should consider testing the application on mobile devices like smartphones and tabs that have all the browsers installed to make sure that the layout is consistent on all the browsers. One can modify the same and should strictly ensure that there is no variation in the alignment before the final launch. Most of the people aren’t aware of the fact that the alignment may be disturbed if they are making some alterations in the functionality of the website. Hence you have to check the same after every update of the website. Another essential thing that depicts the user engagement towards your website is the responsiveness of your platform. If your website isn’t responsive to offer the best user experience to the audience, you probably have to deal with a bad bounce rate. Users would never prefer a website that requires ample scroll to the left and right, which is the reason one should consider checking the responsiveness of the website precisely. As a developer, you have to be sure enough that you rely on a responsive theme or include the necessary code that assures responsiveness on any of the web browsers and mobile device. One shouldn’t miss the testing of the layout’s responsiveness and the functionality if they wish to attract potential clients that are mostly relying on smartphones for browsing the internet. 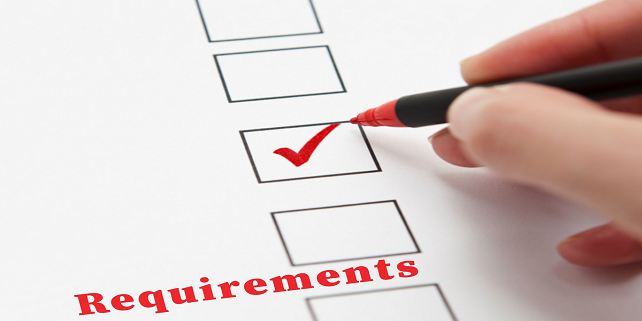 The above-mentioned checklist should be preferred before launching a product in the market. A great performing website is the base of a huge revenue model that never compromises with the user experience and functionality of a website. So you have a business and you want to grow it globally. PHP aka Hypertext Preprocessor is one of the most preferred server-side scripting languages for web development. Till now, there are many PHP frameworks which capacitate the developer with the deployment of secure and complex web solutions. 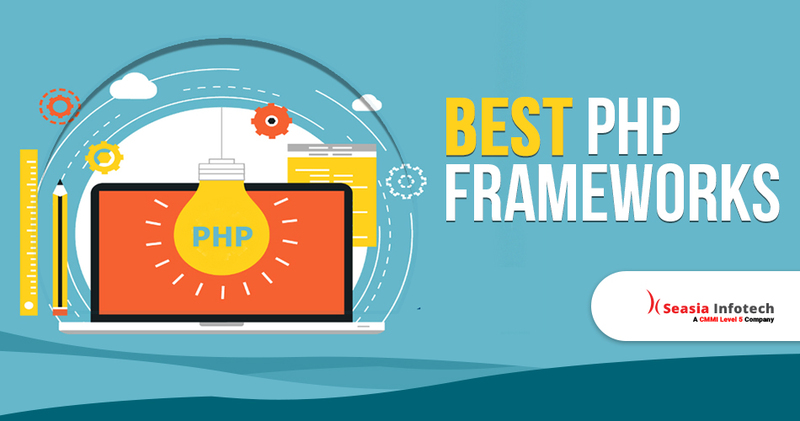 Before we go any further, let’s understand what a PHP framework is and then get on with some of the best PHP frameworks for you. Rapid development and adoption of proven best practices. Reusable codes and components resulting in a structured and maintainable web application. Inbuilt Model-View-Controller (MVC) web application design pattern thus ensuring the separation of presentation and logic. Leverage Object-Orient Programming (OOP) methods and tools thus extending web applications’ capabilities. Developer community and time-tested security policies and methods availability resulting in a more secure web application. Laravel is by far the best PHP framework that ever ventured in the web realm according to some of the web development giants. It was introduced back in 2011 which provides the PHP developers the ecosystem which helps them in creating faster web applications. With Laravel, a developer can easily and swiftly develop a web application. It is safe to say that Laravel introduced the development realm with faster and swift deployment. There is a templating engine known as Blade enables processes like queuing, caching, etc. “Very stable”, “High performance”, “Well documented” and “Modular” – these are some of the words used to describe Symfony. Likewise, Symfony is another very popular PHP framework that empowers developers with a set of reusable PHP components and codes. As a matter of fact, it allows for the development of large-scale enterprise web applications. Owing to its huge ecosystem, large set of reusable PHP components, and a very active and engaged PHP developer community. Moreover, its reusable PHP libraries can assist with the completion of tasks such as templating, authentication, routing, object configuration, form creation and much more. Phalcon employs the Model-View-Controller (MVC) web architecture design pattern and is a full stack PHP framework that was built as a C-extension (on the programming language C and C++). As such, it delivers on the speed C and C++ are known for, easy to use and well-documented. CakePHP brings speed, reliability, and security to this list of best PHP frameworks. It’s a modern framework and properly suited for commercial web applications. Furthermore, it’s been in the marketplace over a decade now and still widely adopted and respected. Its rich features such as form validation, SQL injection prevention, good documentation, cross-site request forgery (CSRF) protection, cross-site scripting (XSS) prevention, active developer community, and many others will keep this PHP framework around for many years to come. Yii Framework is a fast, secure and high-performance PHP framework that can reduce development time significantly with its rich features such as MVC, DAO/ActiveRecord, I18N/L10N, caching, authentication and role-based access control, scaffolding, testing, etc. In addition, despite being one of the oldest best PHP frameworks it’s faster than other PHP frameworks in that it is purely object-oriented and extensively uses the lazy loading technique. Built for PHP developers who need a simple and elegant toolkit to create a full-featured web application. CodeIgniter is a powerful PHP framework that is lightweight and straightforward with hassle-free installation as well as minimal configuration. Uniquely, it’s not a strict MVC design pattern adherent in that Models and Views are optional but Controller classes are a must. We hope that you like the list here. There are other PHP frameworks which we may have left but the ones that are mentioned are like one of the best what they do. What you think about the list. Leave your comment and let me know about it. Adios till then!!! 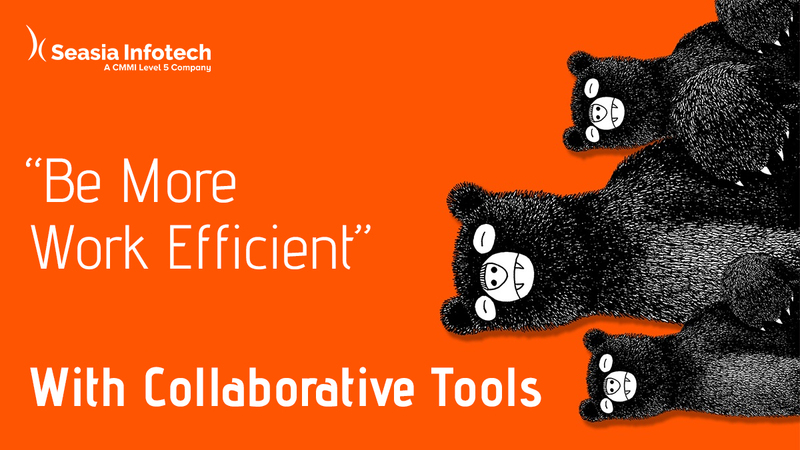 How Collaborative Tools Can Help You Be More Work Efficient? Sometimes hard work is not the key to success but working smart is. There are many instances where we often observe that people in the organization come up with brilliant ideas, but due to lack of implementation, those ideas got flushed into the gutter. You have an excellent plan for which you set time duration and budget as well. You speculate the known and the unknown factors which might create problems. Once you are done, it is up to your team to implement and execute your well-thought ideas. However, the project ends up to be an utter failure because there was no coordination in the working of your team. So, see you must have a collaborative tool so that you and your team can work efficiently. Here in this post, I will disclose some of the benefits, some tips, and tricks which will help you and your team to execute your ideas with the help of robust collaborative tools. I will also guide you in choosing the right collaborative tool as per your business requirements. The world is going digital, why don’t your business!!! That is the front where many companies baffle. Effective collaboration can easily be achieved with the right collaboration tool. However, there is one condition!!! You must understand the need of your business. The perks of a collaboration mechanism are impartially obvious. It helps the teams and the management to work progressively and prolifically. There are ranges of digital tools which offer effective team collaboration and execution. An online collaboration tool helps your employees to instantly participate in the conversations, share documents and collaborate remotely from anywhere they want or they are. In this ever-changing business realm, we are at the dawn of an evolution which will motivate the companies to build communities that can be accessed by apps. Mobility is one of the most important factors here. Mobility can boost your employee’s potential and output. It will also reduce your operational expenses as well. There is another consideration which you must ponder is the number of workers wants to work from home. If you believe the research of Dell, more than 50% of global employees believe that they are more productive when they work from home. For instance, take an example where an employee can simply login securely and connect with the office and work effectively as they are present in the office. This will lead to a happier workforce with higher productivity. Gartner also explained that these information assets can be in the form of documents, policies, databases, un-captured expertise, standard procedures, and the experiences of workers. A right collaborative tool will help you in de-cluttering of all important info and resources and make them available for your workforce. This will help your organization to achieve faster decision-making process and easier collaboration among the teams. Is the tool a way to Enterprise Branding? Enterprise branding is one of the critical aspects of anyone’s business. A brand image reflects the common perception of your business and your employees as well. A positive brand image of an organization has a potential to inspire the employee to take the extra initiative. The right collaboration tool must be flexible to use company logos, colors, and text to communicate the brand. Document sharing is easy nowadays, but it is crucial to be well stocked and organized. With a cloud-based collaboration tool, one can easily access and share the docs remotely, and work faster than ever. You must look for doc sharing feature while choosing the right collaborative tool for your business. What Will Your Business Gain From A Collaborative Tool? Have the potential to make projects fun. This is how a collaboration tool can help your business to grow. Not just that, it will help you and even your client to work productively, qualitatively, and on-time delivery as well. Collaboration tools help you add values to your business. With instant chats, file sharing, team calendars, project plans, and tasks, your business will touch the heights. All you need to do is find the right one!!! We can help you with that. Get in touch with us and let us help you in choosing the right collaboration tool settings to skyrocket your business. Adios for now!!! Take care and Be Well!!! Google is many things and being a search engine is one of the things. Yes, only a part of Google works on Search engine part. There are other counter-parts where Google excels and development is one of those. In May 2017, Google releases Alpha. The target of this release was Android, iOS, and Google Fuchsia. The very first version of Flutter was known as “Sky” which was released at the 2015 Dart Developer summit which can render 120 frames per second. The rendering capacity of the framework shows how capable this new tech is. In later releases, it improves significantly and with the latest update on June 2018, Google simply nailed it. So, how can it be leveraged for cross-platform mobile development? Flutter is an open source mobile development framework by Google which is cross-platform friendly. With Flutter on your side, you can easily create high-performing and interactive apps for Android and iOS platforms from the single code base. As I mentioned above, this framework is also the development platform for Google’s next operating system Fuchsia. Why Should You Use Google’s Flutter? They perceive the application as if they were a website and wrap the web view into a native application. They will wrap the native controls and mold them with a cross-platform construct. However, Flutter goes with a different approach from other cross-platform mobile development frameworks When you develop a mobile with Flutter, it provides you with an engine with a portable runtime to host the application. Flutter is built on the Skia graphics library which provides widgets that are rendered. With this approach, the native cross-platform mobile development becomes flexible with smooth performance. Flutter comes with a rich widget library which makes it a highly rich platform to work with. To be honest, Google Flutter is the closest thing that enables cross-platform mobile developers to develop Google apps with little to no compromises. How Google Flutter Was Developed? The answer to this question lies in the arms of Dart which is a programming language developed by Google. It is (Dart) an object-oriented language which supports elements that are ahead of the timeline. Not just that, it also handles well the current elements of development. It is very well suited for building native applications. The support, developer’s experience, and the spirit of community is mind-boggling. Because of the enthusiasm for Flutter the Google groups and the blog posts are of very high quality. Google engineers are out of their league to answer questions on groups of Google. The documentation is whimsical. As Flutter is based on Dart language, the libraries are far too stable. As Dart is pretty new in the market, the third party libraries are less available. More than 95% of features are there for you. However, there are some third-party integrations with good analytics which cannot be handled alone with HTTP wrapper. 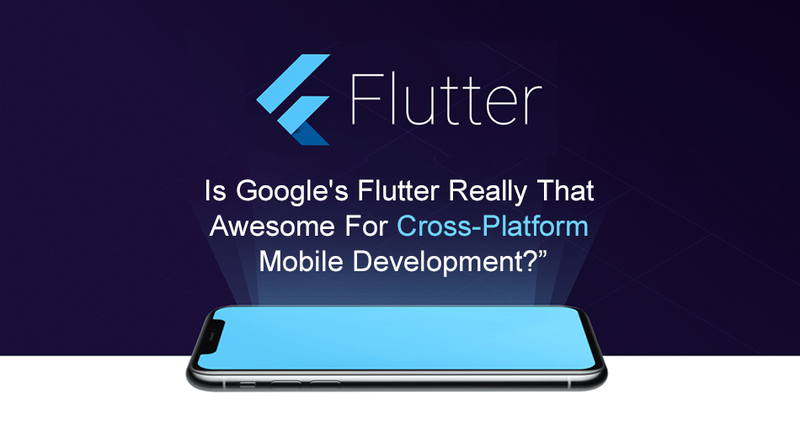 On the overall scale, Google flutter is an ultimate cross-platform mobile development framework. The flutter framework is heavily comprised of material design widgets. It helps the mobile developers to crank out simple yet professional mobile apps. Flutter does indeed provide its own set of iOS widgets, but these still have a way to go in terms of comprehensiveness. Writing cross-platform apps will throw more design challenges your way but this hasn’t really anything to do with flutter itself but more to do with getting into development for multiple platforms. When you plan out a Flutter app, make sure you have a good designer and a nice custom UI mocked up or be ready to write your Flutter app so that your code conditionally uses either Material Design or Cupertino widgets. Flutter rocks!!! It’s not perfect by any means, but in my own opinion, the learning curve, ease of use, tools available make it by far a nicer experience than other mobile frameworks. As we know Google Flutter is in the beta version, even there it is very useful to cross-platform mobile app developers. Flutter can bring development pleasure to you with its hot reloading and brilliant tooling. A flutter developer can easily target Fuchsia along with Android and iOS operating system. With the growing community, it is the right time for the developers and businesses to jump in the platform. With these final words, Cheerio Fellas!!! Let me know your valuable opinion on Google Flutter via comments. iPhones are now common. They are not just in the reach for the elites anymore. People are shifting towards iPhones as Android phones may have performance issues. This behavior is observed by a business which is the major reason that they are shifting their interest in iOS app development. Mobile apps are now the modern face of business websites. As people prefer mobile devices than the desktops, mobile apps are perfect to interact with them in order to establish healthy and two-sided communication where they can feel valued. In this post, you will learn about the tools that you can leverage for your iOS app development process. Some of the tools are free of cost while some of them are paid. Of course, the paid one has their privileges yet free tools are also kind of awesome. I reckon Xcode as the holy grail of iOS app development. It is a complete developer toolset to create applications for iPhone, Mac, iPad, Apple TV, and Apple Watch. The principal function of Xcode is to bring user interface, coding, and testing in one amalgamated workflow. Don’t mistake it for a mere tool for iOS app development. Xcode is more than it looks; it is the sacred ground where the applications are developed. When you are at the initial stage of the development it is the tool you want to start with. It allows you to surface your visual ideas imprint on digital media. You can create multiple pages to showcase your ideas and streamline them in order of your choice. While sketching the ideas you can also change the alignments, the font size, and color as well. It also gives you an option to share the sketch with others. Bjango is an ultimate tool which can help you in designing your mobile app. While using Photoshop you can utilize this tool to streamline your design process. You can change the size of the canvas with a single click, scale the image from 50 to 200 percent, and also you can set lighting up to 90 degrees as well. No, it is not the Marvel cinema. It is, however, a wonderful tool which converts the raw sketches into interactive prototypes. You can add paper sketches to the app via a camera which allows you to draw directly in the application. Crayons is a color plugin which will aid you in enhancing the work with the colors. As the colors are in codes, you can easily use custom colors simply by using the codes designated to them. This incredible tool will help you in encoding color on the screen. It has 35 color formats for you to choose from. Sip is considered to be an excellent choice for organizing, collecting, and sharing your color with the powerful extension of Photoshop. When it comes to code documentation of these codes is paramount. When you are developing your iOS application, you might want to make sure that while using Swift and Objective-C you keep the track of your code. This is where Jazzy comes into existence. Jazzy create documents that can be accessed using SourceKit and Clang AST. A well-documented code will help you in streamline the development procedure of your iOS application. Qordoba is not just a tool it is a development toolkit. It will efficiently connect your database with your application. It generally works with the local files and assets. Once you are done with the development of your application, you want to see how it is performing in comparison with the other application. With Applyzer, you can easily track how your iOS application is performing among all the other iTunes store applications. The use is very simple. You can easily create an account and then enter your application ID to see the rankings. Charter is a tool which provides an online and offline view and supports message threading. It is extracted from the Swift programming language which helps you to keep up with the language mailing list on iPhones and iPads. Swift Express is also written in Swift programming language which is why this tool is so powerful. While handling issues to run the app it will also help you to manage all the dependencies of the project. The framework and the routing mechanism is extremely easy. Cocoa controls is not an iOS development tool, it is a framework library. It consists of a list of codes that you can use in your iOS application. With over 1,000+ combination of code library, it acts as an open source community. With such ample resource, you can save ample of your time. Capptivate & Dribble are the two destinations where you can brainstorm designs for your applications. If you are looking for design inspirations then this tools will help you in many ways. If the still images are not enough, you can go for animation as well here in Dribble & Capptivate. These tools act more as a resource than a mere tool in designing your iOS mobile application. 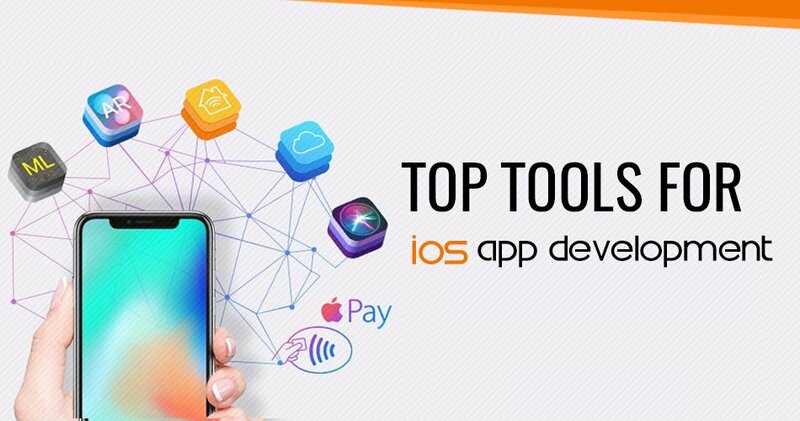 So, these are the tools which you can leverage while developing a mobile application for your iOS users. I hope the tools on this list will help you and develop a better mobile application to better represent your business. Leave a comment if you have any query regarding the mobile app development. I will get back to you as soon as possible. Google’s Gender Memo – We are better! Historically speaking, not long ago women were not entitled to vote; yet, this year we have witnessed the first women in U.S. history competing against a male opponent to become president of the United States. While times have drastically changed for women in just a hundred years or so, every year, on March 8, we celebrate “International Women’s Day”. Ample is discussed about women’s struggles for equality in the world, including at home and in the workplace. In the past few months, the debate around gender equality and ideological diversity at the workplace has become more intense. The pledge is a 10-page internal memo that Google software engineer James Damore wrote, in which he attempted to explain his contrarian positions on those concerns. The memo, named as the ‘Google’s Ideological Echo Chamber’ infuriated numerous in Silicon Valley since it depended on certain gender stereotypes — like the thought that ladies are less inspired by high- stress occupations since they are more anxious — to rationalize the gender gap in the tech industry. The memo rapidly spread outside the organization, as other Google workers railed against a large number of its presumptions. “The memo has clearly impacted our co-workers, some of whom are hurting and feel judged based on their gender,” Mr. Pichai wrote. The main purpose of gender equality in the workplace is to achieve equal outcomes for men and women, not necessarily that the outcomes will be exactly same for all. • Elimination of discrimination on the basis of gender, particularly in relation to family and caring responsibilities. Accomplishing gender equality is the essential for workplaces not because it is ‘fair’ and ‘the right thing to do, but because it is also connected to a nation’s overall economic growth. Despite what many people assume, gender equality is not strictly limited to creating advantages for women. Gender equality means that each employee approaches similar benefits, which is why equality is an “everyone” issue. To encourage its female employees to learn leadership skills and pursue high-ranking roles, we give them with their own leadership-development program. “Our program focuses on helping early and mid-career women step up to extensive leadership responsibilities. In sum, every employee has the right to feel comfortable in the workplace. When employers embrace a mentality of acceptance and inclusion, gender equality finally becomes a possibility. We Are Better in light of the fact that these are our morals which we follow to make the gender Equality same. We may be just a few weeks away from getting our first look at new Apple iPad Pro 2. Every Product that apple launch it bring a completely new innovation which will drive its future product. This being its Anniversary year, apple would bring something special to its line of products. The company may launch four new models at a special event scheduled for March 2017. Apple created a splash in Sept 2015 when it undraped its 1st big tablet: a device known at the time only as the iPad Pro and equipped with a blockbuster 12.9-inch screen, quad speakers and a ultra-fast processor chip. 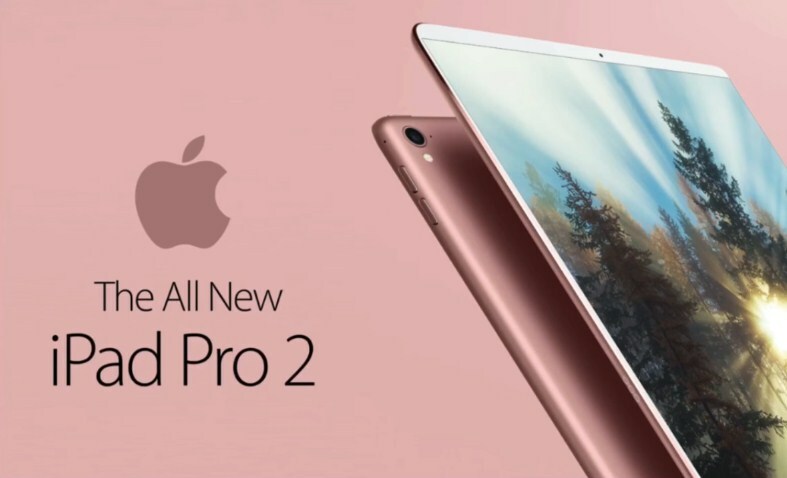 The following March a smaller and frankly better 9.7-inch version of the iPad Pro came out, creating mild naming complications (we now call them the iPad Pro 12.9 and iPad Pro 9.7 respectively) and kindling a degree of regret in the hearts of early adopters. 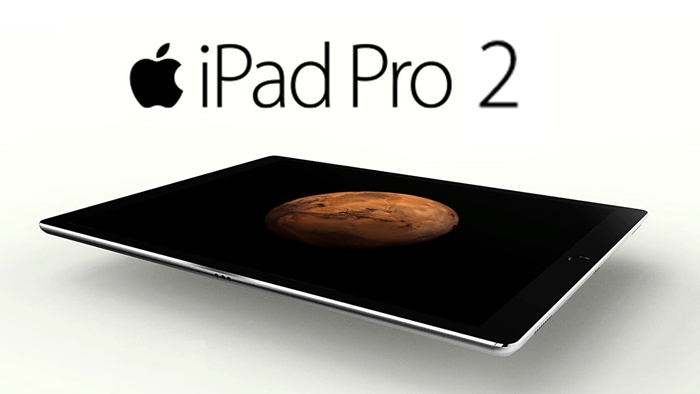 Currently most are looking ahead to the new specifications design for the iPad Pro2. Analyst predictions new Apple announcements in last week of March, with predictions that the iPad Pro 2 will have an A10X processor, up to 6 GB of RAM and a MacBook Pro-style ‘Touch Bar’ feature, and previously with rumor about a possible iPad Pro 2 delay, and a stunning concept video showing the iPad Pro with a 10.5 inch screen, a dual-lens camera and a new ‘wine’ color option. Design changes we can expect in iPad Pro 2? Let’s talk next about the iPad Pro 2’s design. The prediction, reported by Apple Must, cites recent patent activity that shows Apple is exploring the idea of a fold-able glasses, and extrapolates this concept to the tablet sphere (where, because of the larger form factor of the devices, a folding design probably makes more sense). Macotakara, a Japanese-language Apple site, predicts that the iPad Pro 2 will have a largely bezel-free screen and no Home button, citing trusted sources. The bezel (the non-screen area around the edge of the screen on an iPad, which you hold while using the device) will apparently be removed from the bottom of the iPad Pro, meaning the Home button will and will have to be integrated into the screen itself. Oddly, the site predicts that the bezel will remain at the top of the iPad Pro 2, and will continue to house the front-facing FaceTime camera. An increasingly widespread rumor proposes that new line of I Products will feature a function area, somewhat like the Touch Bar introduced in MacBook Pro last year. Now the rumor has mutated , apparently iPad Pro 2 is going to get a Touch Bar function area too! We’re still not convinced that a bigger iPad is on its way, but you can never say never. After all, Steve Jobs once said that a smaller iPad would be dead on arrival, but then Apple launched the iPad mini and it flew off the shelves.Despite all our doubts, however, we have to admit that if anyone has the market clout and cultural influence to push a new product category like this, it’s Apple. 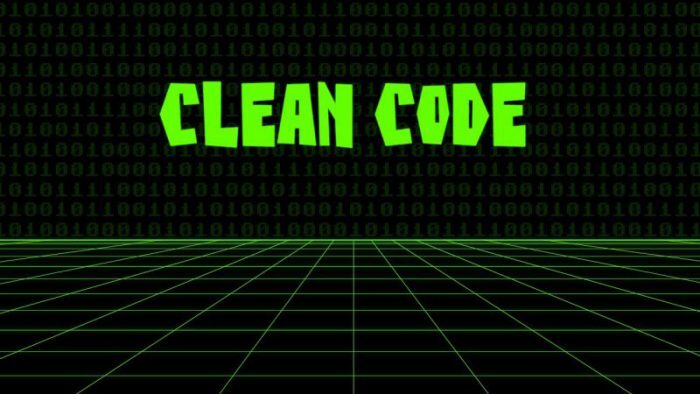 What is Clean Code and Why it Matters? Clean code is a reader intensive development style that produces software that is easy to read, write and maintain. Developers are often tempted to consider their work complete when the application operates as expected. But we are not merely writing code for computer consumption. We all know that programming is the art of telling another human what one wants the computer to do. Clean code is about knowing that your audience is not just a computer, but real-life humans! With this norm in mind, let’s review some simple reasons to why clean code matters. An author is someone who practices writing as a career. Developers write all day long. However, it is easy to forget that each line of code we write is expected to be recited 10 or more times by humans. These humans are our fellow co-workers, who are busy fixing bugs and adding features. Great authors are known for writing books that tell clear, compelling stories. They use tools like chapters, headings, and paragraphs to clearly organize their thoughts evidently and guide their reader. Developers work in a very comparable system, by using different jargon of namespaces, methods and classes. Clean coders use these tools intelligently to manage the complexities and tell a clear story. In the recent years, software practices like professional refactoring and unit testing have received immense attention. These practices hoist code quality and maintainability. Executing clean code principles is an opening skill that pays off, especially well when it is time to refactor a code or bring a code under test. Clean code principles produce highly modular source codes which are easier to read and test. If you entertain these practices as part of a house, clean code is the foundation of it. Imagine yourself sitting in a technical interview. If you are asked about the quality of your code, can you provide a professional and a rational justification? Or would this be just you? If that is all you can say about writing clean code, then it’s a bad sign. If you have never systematically considered the quality of your coding style, there is ample amount of opportunity for improvement. The developers who write clean code are able to carry many solid patterns, activities and techniques used to keep a code clean. Nevertheless, clean code doesn’t come about by accident. It requires a thoughtful and steady focus on clearly transmitting intent. Structuring a vocabulary around clean code is not just useful for interviews and enriching your own code quality. It also nurtures level-headed conversations in code reviews by starting a common terminology and framework for discussing the readability of the code. Professional software companies often pride themselves for their knack to solve difficult problems. However, writing code is relatively easier than reading. This is why so many developers are attracted to drafting rather than doing the hard work of reading and twigging the existing code. Since reading code is challenging, if you write code that you are barely able to follow as you write it, you will be unable to comprehend it later. Professional developers write so many codes, that after a few weeks of their separation, most of the structure and design choices fall out of remembrance. It is like investigating a project with a fresh viewpoint. Not being able to realize your own code after a few weeks can be a really disheartening situation. Writing confusing and sloppy codes inject technical debt into projects. And while it can be useful when considered in context, too much of technical debt is discouraging and pushes talent away from the organization. When easy things start becoming hard, developers often start to vote with their feet and go somewhere else. Developers derive more job satisfaction out of the quality of their work than the quantity. Technical debt decreases the chance of reprocessing and sets a low bar for quality all through the rest of the code base. Professional developers endeavor to be the good kind of lazy. This sluggishness is based on laying extra care onto the code so that it is not so hard to write honestly, and is easier to work with in future. Writing clean code doesn’t take long. And once you comprehend the principles, you can actually code more quickly because brief and expressive codes are easier to manage. When stressed, it’s tempting to cut the corners and ignore the best practices. However, being sloppy eventually slows us down in the long-term, as a result of the increased rate of bugs and the long-term costs of future maintenance. History is evident; it is unlikely that you will find time to clean it up later, so why doesn’t do it right in the first place itself? While the other reasons are solid, this one is the clincher: Everyone is aware of the former developer whose name became a verb to define the dirty code. Comments like this are a kiss of death for long-term employment prospects. Being acknowledged in writing clean code is an inordinate way to assure that your co-workers look forward to work with you and your code henceforward. While the world is going crazy about Pokemon Go, there’s another application that is taking the web by storm. Prisma is a new photo application that transforms your regular picture into Picasso paintings. Sounds great, no? It is a photo effect application whose workflow mimics that of popular photo sharing apps like Facebook and Instagram. At its base, there is a viewfinder that takes square images to which you can apply around 35 filters, many of which are modelled in the style of famous painters like Picasso and Van Gogh. The app is viral since summer 2016, with over a million daily users in its opening month. Prisma is absolutely not the ever first app that produces beautiful, fanciful pictures using filters, but the statistics around the web show that it does the best. The secret success recipe is the Artificial Intelligence that processes each photo in a different manner, contingent to the filter. The app allegedly learns and familiarizes the implementation of these filters over time, using the information it gets from each user’s photos. As per reports, the app has gained immense popularity within a very short span of time. It is ranked 3rd among all the photo and video apps in the US. The app puts an imprint on the photos, which can be turned off from the settings menu. The app does not have an internal sharing feed like Instagram, so you can only edit your favorite pictures and save it to your gallery. Users can then share the edited pictures on the various photo sharing apps like Instagram and Facebook. This app is a unique concept that gives out pictures that are a treat for an eye. Download and open the Prisma app. Since there is no social or engagement element, the app does not ask its users to create an account. The main screen is fragmented into two, the top half shows the camera view, and the bottom half shows the capture button, camera rotation button, settings button, and the thumbnail of your camera roll. You can either take a fresh photo or choose one from the existing ones. Applying filters couldn’t be easier than this. All you have to do is scroll through the filters, until one charms your eye. Select it, and the app will work its magic on your photo. This may take a couple of seconds to process, but it’s worth the work being carried out on your photo. If you think the effect is too strong, it can be easily toned down: just swipe left to reduce the strength until you are pleased with the look. Once you’ve settled on a style, you can then share it on Instagram or Facebook (the dedicated options), save to your camera roll (the default is to save an alternate version and not over the original), or share it elsewhere. The application has a couple of settings, but the only one you may want to change is the option to include a watermark to your photo. It has a default setting to have a Prisma logo on the right bottom which you might not want on your shots, so you can disable that. 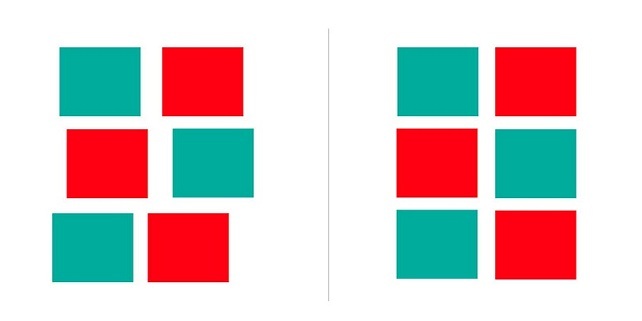 Try using images with strong colors and shapes. To get best results, avoid images that are too chaotic. Have fun! This App is available at both Google Play Store and App Store. Should You Be Doing The App Development Yourself? When was the last time you found yourself searching google for something without hesitating onto a DIY link? Undoubtedly we are living in a ‘How to do it yourself’ world and over the time it is also been found that this has led to a number of indecisive customers into thinking that app development can be attained with the same principle. Googling something like ‘how to make your own mobile app’ can list a number of tempting results and each one of them may talk a lot, merely saying anything genuine. The pathway to the app world is really menacing and unluckily not every app development story ends in success. This is why your decision should be headed by evaluating in the pros and cons in both the situations. Do you have sufficient in-house coding resources to develop an app? Or if you have a clear budget for subcontracting? Unfortunately, analyzing such scenarios carefully can cost you way more than your expectations. The answers to the both of these questions come with major differences in design, functionality and improvement. We have examined these, and a few other significant factors to help you decide what the best direction for you to take is. Start by evaluating the needs of your business and how an app can fill in those gaps, or even add new value to it. The answer should be able to determine if you need a native or a responsive app that can function on any device. Bear in mind that native apps necessitate more development time than Web apps and usually cost more, but a well-crafted mobile app can also have a much higher ROI. Yet again, it is all contingent to your business needs. Almost every DIY app website sells you the idea of getting it done easy and fast. But they all fail to state the probable lack of reliability and quality of the finished product. Many fail to consider important factors that are at the foundation of quality software, for instance the way the data is managed. By employing an experienced development company, you need not worry about how the data is being handled, or about matters of performance and reliability optimization. Yes, developing your app in-house makes it easier to convey ideas and requirements but requires loads of time to explain, mentor and overseeing the progress. While an established agency would have already worked on hundreds of projects similar to yours which means that they would understand your requirements better and can guide you on what works better than what. One of the most bestowing benefits that come with hiring a mobile app development company is assurance. Although prior to contracting them, a comprehensive research is essential as this can make it easier to sort it through the bad and the ugly, and pick someone with a record of delivering quality apps in a timely manner. Experienced designers work collectively with UX specialists in order to develop a strategy that can benefit the user in terms of usability and visual aspects. Both the approaches for developing an app are practicable enough, but it is pretty clear that one is riskier than the other. However, patience is a strong virtue and so is the app world, which won’t wait around like any other business. Doing it yourself or training a new developer does not guarantee a rewarding and a successful app.